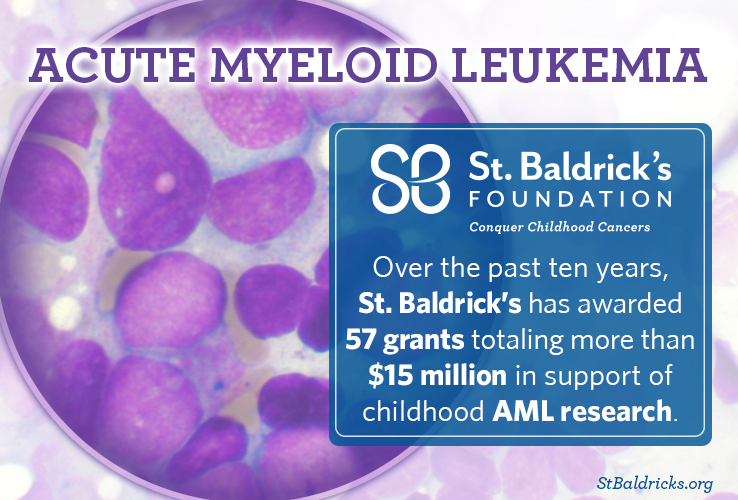 With its recent commitment of $500,000 for the Target Pediatric AML initiative, the St. Baldrick’s Foundation adds another chapter to its long story of support for innovative and impactful research in childhood acute myeloid leukemia (AML). 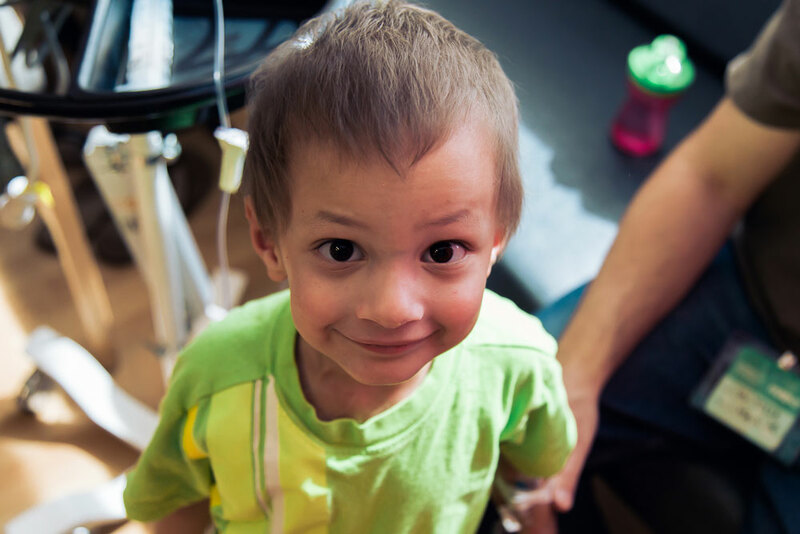 While great progress has been made over many decades to help children survive the most common childhood cancer – acute lymphoblastic leukemia (ALL) – the same has not held true for children with AML. St. Baldrick’s is helping change that. In the world of childhood cancer research, the St. Baldrick’s Foundation and the Children’s Oncology Group (COG) are two superheroes, teaming up to use their complementary strengths to save lives. Dr. Mary Lou Schmidt decorates pumpkins with her patient, Isaac, and his mom. Isaac is on a Children’s Oncology Group clinical trial that’s part of a unique tri-institutional clinical trial program in Chicago that’s supported by St. Baldrick’s. When Honored Kid Will was 3 years old, he was diagnosed with cancer. 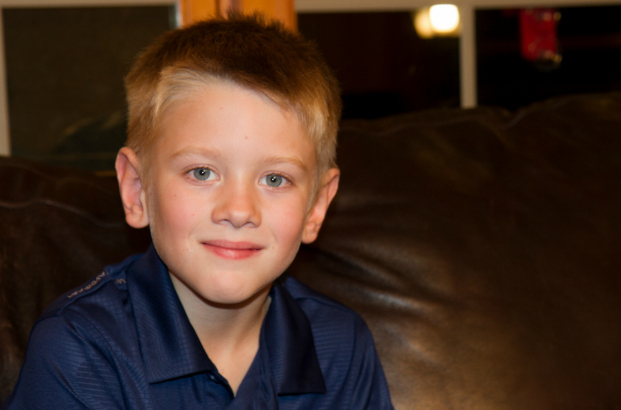 Now, the third grader with the dimpled smile and bright eyes is healthy, thanks to a clinical trial made possible by St. Baldrick’s funding. Read on for Will’s story of survival. On the surface, Will looks like any other 8-year-old boy. He loves playing soccer, camping with his family, and playing with their dog, Jack. The third grader is a big fan of superheroes and is also quite the successful fisherman. You’d never guess that most of his young life has been spent fighting cancer. Thanks to nearly a decade of St. Baldrick’s infrastructure grants, all kids treated at three of Chicago’s largest hospitals are getting access to the clinical trials they desperately need. 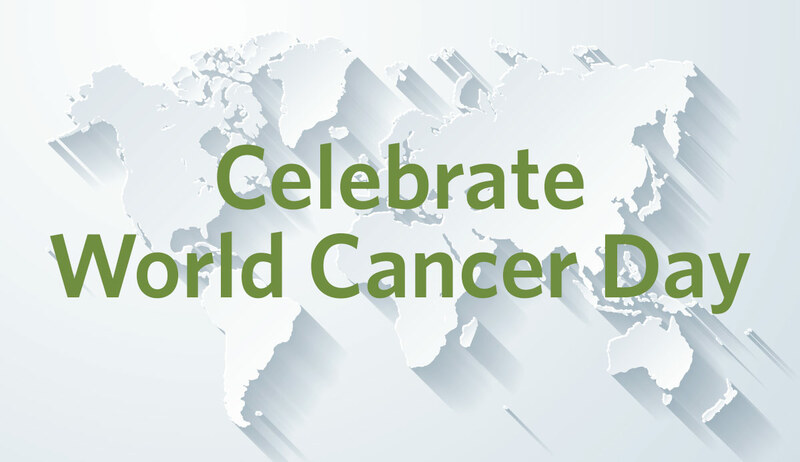 Read on to see how this program YOU made possible is helping find cures for kids with cancer everywhere. 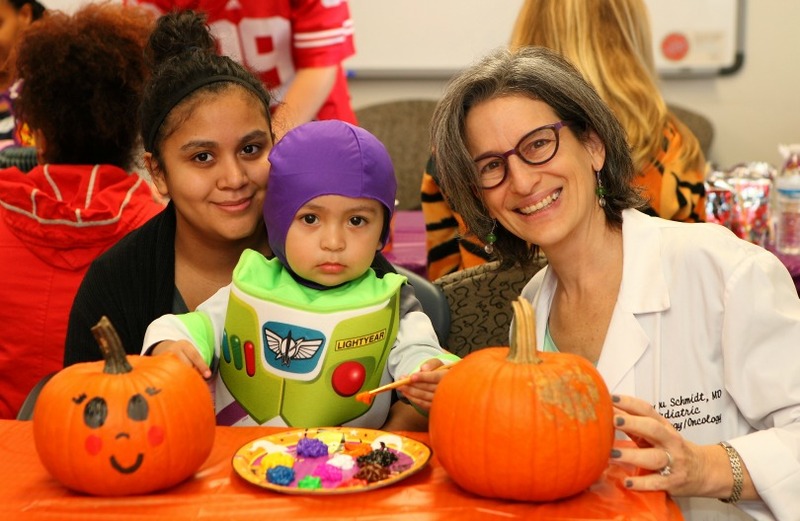 Dr. Mary Lou Schmidt decorates pumpkins with her patient, Isaac, and his mom. Isaac is on a clinical trial that’s part of a unique tri-institutional clinical trial program supported by St. Baldrick’s. 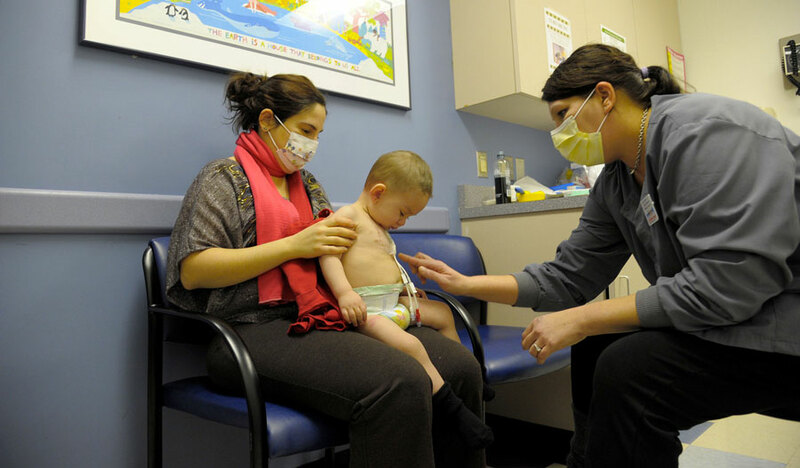 Clinical trials can be options for kids with cancer who have no options left. They can mean better chances at long, healthy lives with fewer side effects. They are hope for a cure for kids with cancer today, and for kids in the future. We have some big news that will have you jumping through the sprinkler with joy. Summer has arrived and so have St. Baldrick’s Summer Grants! Today we are awarding a whopping $21.2 million in new research grants to scientists across the globe. That’s 70 grants in 48 states and 11 countries, going to researchers making incredible gains in the fight against childhood cancer. When the Vannie E. Cook Jr. Children’s Cancer and Hematology Clinic opened in the border town of McAllen, Texas, it offered care that otherwise would have been out of reach for many kids with cancer in the area. 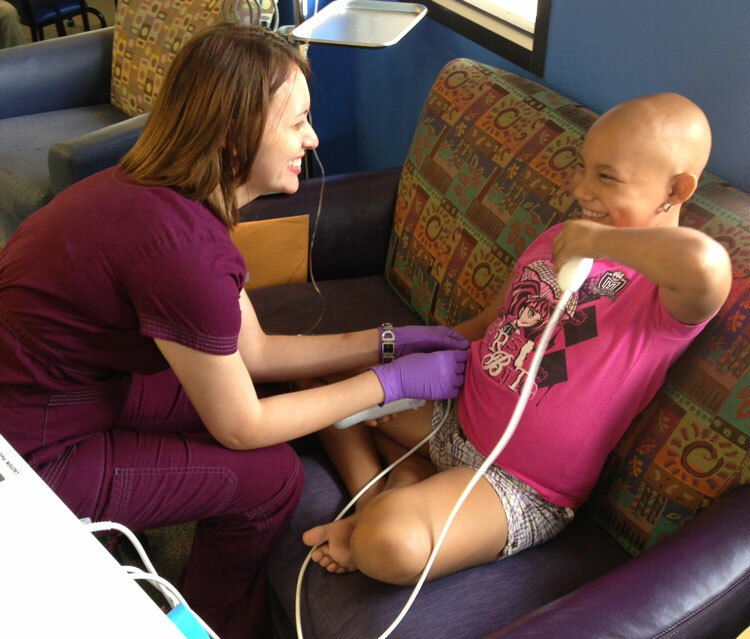 Today its young patients have the opportunity to participate in cutting edge research — the clinic, with the support of St. Baldrick’s grants, was accepted into the Children’s Oncology Group, or COG, and is now conducting COG clinical trials. Alma, a nurse at the Vannie Cook clinic in McAllen, Texas, laughs with Leidy, a patient there who has now finished treatment. We’ve got some spectacular news. Really, really big news. In the last 20 years, only two new drugs have been approved that were specifically developed to treat children with cancer. Yesterday, that changed. Now there are three. An inside look at what St. Baldrick’s Infrastructure Grants are really doing. See all the 2014 Fall Grants. Kelly Clickner assists a patient enrolled in a clinical trial at Albany Medical Center. They were able to hire Kelly as a full-time CRA with their first St. Baldrick’s Infrastructure Grant in 2007. You’ve probably already heard that most of our Infrastructure Grants fund a clinical research associate, or CRA, who makes it possible for more childhood cancer research to happen. But what exactly does a CRA do? To get an inside look, we sat down with Dr. Vikramjit Kanwar, who has received a St. Baldrick’s Infrastructure Grant every year since 2007, and Kelly Clickner, R.N., the CRA whose salary is funded by the grant.